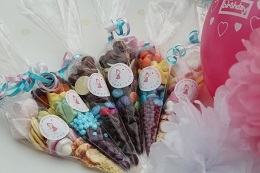 We know how much effort it takes to plan a great childs birthday party so we offer a range of sweet cones, cupcakes and biscuits that you can hand out to party guests. Have a birthday cake which you want to keep? 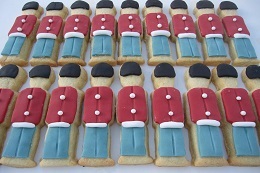 Why not hand out cupcakes or decorated biscuits to party guests instead? 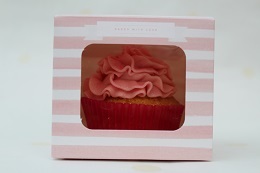 We can provide cupcakes and biscuits of several sizes, tailored to your requirements - including with personalised printed icing toppers. Please contact us to discuss any of these ideas in more detail - we'd love to help make your party even more special.